Founder and Trustee, Gyaan Adab Centre Mr. Farook Merchant has played an instrumental role in revolutionizing industrial electronic products used in the manufacturing sector in India. He is the Chairman and Managing Director of Messung Group of Companies, which he started as ‘Messung Systems’ in 1981 with a passion to offer simple, efficient and cost-effective industrial electronic products and solutions to the country. Since the last 35 years, he has been consistently contributing to the implementation of industrially hardened electronic products in the Indian manufacturing field. He has been accredited for designing numerous indigenous and award winning products at a regional as well as national level. Having a deep sense of social responsibility, Mr. Merchant has worked in Aga Khan Development Network for more than 15 years in direct ground level community service. He is the founder and trustee of Nityaasha Foundation, which equips children from the economically weaker sections of the society, in the age group of 0-18, suffering from Type 1 Diabetes to deal with their disorder, so that they can lead a healthy and fulfilling life. Gyaan Adab Centre is his second social initiative. Mr. Merchant holds keen interests in the arts. He is a voracious reader with a strong inclination towards history. Founder and Trustee, Gyaan Adab Centre Mrs. Nasima Merchant is an inspiration to women who look through the glass ceiling and rue the missed opportunity of higher education. Though she came from a fairly well to do family, her education took a halt after she finished standard twelve. In her forties, her love for literature and the Urdu language drove her to take a step that would seem intimidating and daring to any woman who had grown comfortable in her safe abode. Nasima went back to college. She not only pursued a bachelor’s degree in Urdu but did a Master’s in the same and stood first in Poona College. Her passion for education extends outside herself and has led her to start Gyaan Ruchi, a project to empower women through literature and literacy. Nasima is an avid reader and intends to soon start writing a novel. Award winning writer, poet, artist, teacher and folklorist, Randhir Khare has published more than thirty volumes of poetry, fiction, translations, non-fiction and educational books. He has travelled widely, reading and presenting his work, nationally and internationally. As an artist, he has had six solo exhibitions and his work is in the collections of several private collectors in the country as well as in the UK, USA and South East Asia. His poetry has been set to music by A.R.Rahman, performed with western and folk musicians and used in creative arts and educational workshops in Ireland and England. These include: projects and exhibitions for One World Week, self development workshops for women, professional workshops for Teachers, Cultural Education Courses in Colleges of Education, Creative Projects with Minority Groups and Refugees. 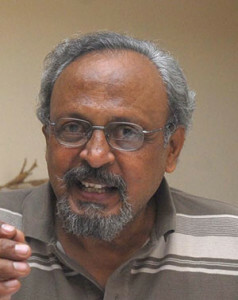 His cultural documentation work has included documentation of the folkloric traditions of the Bhil, Bhilala, Kota, Toda, Nari Kurava, Katkari and other traditional communities from north and south Gujarat, Maharashtra, Tamil Nadu and Madhya Pradesh, translation of tribal folklore and poetry and the promotion of traditional music and lore. He has recently founded The Living Heritage Movement which supports performers and practitioners of traditional forms and lore. 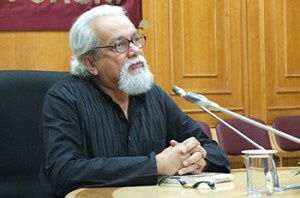 He has been Professor of Literature, Creative Writing & Media in various prestigious institutions and universities in the country and has contributed significantly to a number of regional, national and international initiatives in public health, human rights, literacy, cultural preservation and school and college education as key visionary, trainer and leader. A renowned Urdu poetess, Mrs. Peerbhoy has participated in many national and international mushairas and is famous for her melodious voice. A prolific writer, her poems and articles have been published in many national Urdu magazines and books. Apart from her literary work and associations Mrs. Peerbhoy engages in many social and developmental activities. She is associated with various NGOs working in the field of education, women and children’s welfare. 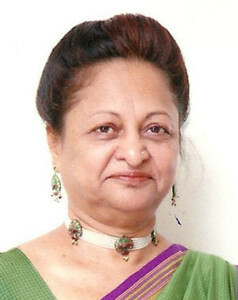 She has been the President of the Inner Wheel Club of Pune Central and Soroptimist International, Pune. She is currently the president of the organization Bazme Khawateen, Pune as well as Marathi Urdu Mahila Sahitya Sammelan, Pune. 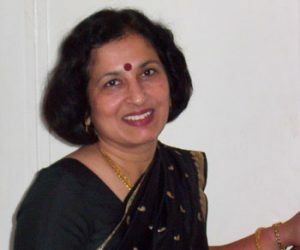 She is also the Vice President of The Deccan Muslim Institute in Pune, Golden Jubilee Education Trust, Pune and the All India Urdu Sahitya Prishad. 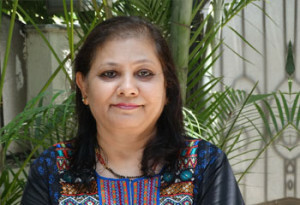 Mrs. Peerbhoy is the executive member of Young Women Christian Association in Pune, Maharashtra Medical Education and Research Center, Pune and a member of the Film Writers Association in Mumbai. Satish Khot is a graduate of two of India’s premier institutions. He is a chemical engineer from IIT, Bombay and an MBA from IIM, Calcutta. He has worked for some reputed companies in India. His last job was as CEO of Indo-American joint venture company manufacturing oil field chemicals. For the last 18 years he has been a consultant to companies, his forte being the planning and implementation of projects from start to finish and the turning around of sick companies. 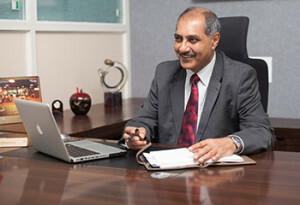 He has worked on projects in India and in the Gulf. Satish has always been socially very active and is one of the founder members of Pune Midtown Round Table no. 65. For our years he was a member of the Managing Committee of Poona Club and currently he is President of the National Society for Clean Cities, Pune which is the apex body of all the mohalla committees in Pune. NSCC’s credo is “Pune, A Clean City – Clean in Every Which Way”. He is also on the Advisory Council of Public Concern for Governance Trust. He names sports and reading as his hobbies and has played almost every sport in his time and also served as Secretary of the Maharashtra State Athletics Association. He has started a Book Club at Poona Club to encourage reading, discussion and an exchange of ideas. The Book Club meets every month and has been in existence for twelve years now.